Video cards are the most crucial components of any computer that is meant for gaming. A true gamer knows how important it is to have the right video card at the right time (the right time is when a new game title hits the market and you have to be prepared). Many gamers are not geeks and choosing the best video cards for gaming can be challenging for them. A graphics card has a direct impact on the way you play games, because it is responsible for the obtained framerate and the level of detail you can get at a decent/optimal framerate. If you want the very best, you will have to take out the most money from your pocket. The video card industry is so complex right now that finding the right graphics card for your needs can be compared to finding a car. It consumes a lot of time, but not if you read the right reviews. The card you buy must have characteristics that will allow you to play the games you want to play and in high detail if possible. 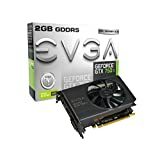 There is a huge difference between a video card made specifically for gaming and one that is meant for office computers. You can notice the difference at least visually, because a gaming card is much bigger and with coolers attached instead of just radiators. The bigger a card is and the more coolers it has, the better performance it can have. Of course, this is not the main rule. There are other aspects as well. For a video card, the most important characteristics that you can use to understand how fast a specific card can be is the memory bandwidth, the processor speed and the memory speed. There are others things to consider, such as the pixel fill rate, memory size, RAMDAC speed, number of triangles per second, etc.According to factors like performance, price and additional features, a card can be low-end, mid-range or high-end. We will leave low-end cards behind, because we want games to work optimally. Before we talk about these three categories of video cards, you must know about frameterate. The framerate is the speed at which the still images called frames are displayed on the computer monitor to give you the illusion of motion in a game. A framerate that will allow you to at least start the game can be of up to twenty frames per second. From thirty frames per second and beyond, a game is playable without problems and at sixty frames per second, playing a game becomes ideal. The framerate depends on the speed of your computer’s processor and the speed of the video card (processor and memory). You need to have a very fast processor and a very fast video card and you will be able to play any game. Low-end cards are not actually meant for gaming, even if they can have the required technologies. Their performance is too low. You may be able to start a game, but it is not sure you will be able to play it at a decent framerate. Mid-range cards usually offer medium performance and can allow you to play newer games mostly on low to medium settings at a good framerate. High-end video cards are very fast and they are also the most expensive. 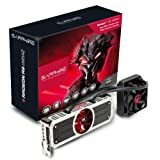 What to Choose Between Nvidia and AMD? Nvidia and AMD are the two main manufacturers of video cards and they compete against each other since a long time ago. In each performance category, both companies offer similar cards, with some notable differences that are characteristic to each manufacturer. You will see below reviews of cards from both manufacturers. While Nvidia is known for its technology called PhysX (a technology that creates real-world effects in games), AMD has an interface that allows more efficiency in accessing various graphical features. What Are the Best Graphics Cards? This is the fastest graphics card on the planet at this time. It can be considered expensive, as its price is somewhere around one thousand dollars. This is literally the best card with a single processor unit and the best card simply cannot be cheap. Gamers who want the insane performance offered by this graphics card know what they spend their money on. Titan X is a monster and comes in many variants, including overclocked models with exotic cooling systems, but the standard version can be great too. Released for the first time in 2013, this card has established a new brand in its line of high-end video cards. This AMD monster doesn’t sound as good as Titan X in terms of name and is a lot cheaper than the monster from Nvidia. Despite the lower price, Radeon R9 295 X2 is better in most benchmarks than Titan X. You may be wondering how is this possible? The trick is that the Radeon card uses CrossfireX technology to combine the power of two graphic processors, for obtaining huge framerates. Depending on the games you play, the dual-GPU feature may not always work. When it doesn’t work, you are having the performance of a card that is half the price. Radeon R9 290 is now worth a few hundred dollars, which is way less than it was worth when it was released. 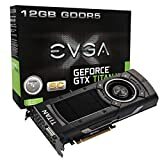 Buying flagship video cards about a year after they have been released can be a great way to spend less and enjoy recent features and technologies without breaking your budget. This is still a high-end card with a 512 bit bus and 4 GB of GDDR5 high speed memory that can run any game at high resolutions. 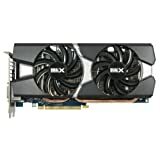 For a medium to high price, this card is the best that you can get and it works brilliantly. If you don’t have a thousand dollars to spend, but you still want to have a lot of performance, go for this gaming video card. This model’s performance can be close to the one of Titan X and is almost three times cheaper. It can be the best performance versus budget video card of the high-end category. The card is in fact based on the Titan X, as it uses the Maxwell architecture. Nvidia has released this video card as a mid-range card, but it works so well that is only beaten by Titan X. For this reason, Nvidia has decided a price that will match its performance (the price of a high-end card). This card offers a great deal of graphic power, because of the Nvidia Maxwell architecture. Despite the affordable price, it can provide everything you need in games, allowing you to play at 1080p and 1440p without any noticeable difference. 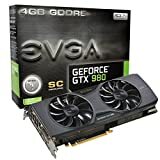 This is not the cheapest card, but is is quite affordable fro what it does. With 4 GB of GDDR5 memory and a 256 bit bus, the GTX 970 works just as you expect it to work. 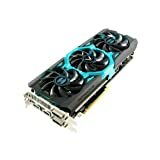 This is not the newest card, but for 1080p it works great. The model is actually a rebranded version of an older generation of cards from AMD (the former HD 7970). The 384 bit memory bus and the GDDR5 memory can be enough for HD gaming, but it is not enough for 4k resolutions. The low price makes this product still a good option for many people. The card has a bandwidth of 240 GB per second and is equipped with 3GB of memory. This mid-range card is actually the one that starts the gaming video cards line today. Everything that is cheaper or has a lower performance may not be enough for a real gamer. The GTX 750Ti works well if you use it without crossing the 1080p boundary and without setting all your game details to high. On medium settings, you can get a really good framerate. 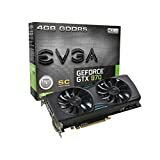 For a card that is about one hundred dollars and the price may be even lower soon, you get a card that can help you play all games in a decent manner. Video cards that have lower characteristics than this one can be good too, but only if you are just an occasional gamer and you have no problems playing on medium to low settings. If money is not a problem for you, there is no reason not to get a gaming card like Titan X, the R9 295 X2 from AMD, or the GTX 980. There is a good card in all price ranges now and all you have to do is decide if the performance that is offered can match your preferences. A true gamer will always try to spend little more for getting the best performance. But, occasional gamers may be happy with a card like the GTX 750Ti. If you want to know which one of the two companies is better, the answer is relative. It depends a lot on what you define as a better video card for gaming. For example, the most performance on a single card can be the performance of Radeon R9 295 X2. AMD also has better prices, but Nvidia offers the lowest power consumption. When it comes to games, each game can be optimized for one of the two companies, so it is hard to decide. It may depend on what games you actually like to play the most.